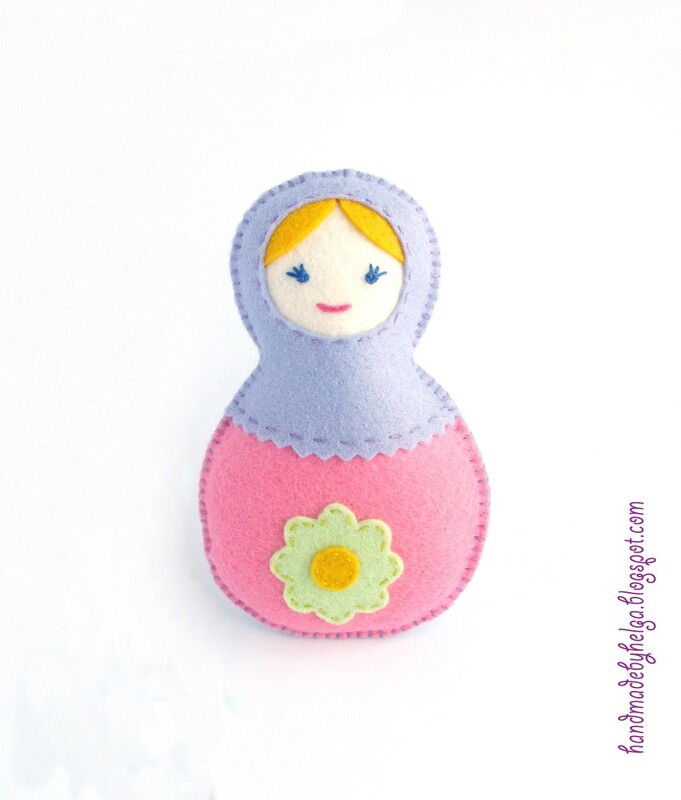 I create 2 felt baby rattles in shape of Russian doll matryoshka. There are 3 little bells inside the dolls. There are no small details on surface so they are suitable for baby. Height: 4.5" (11.5 cm). These dolls would make a great small gifts. Hi! I loved this Blog! Congratulations!